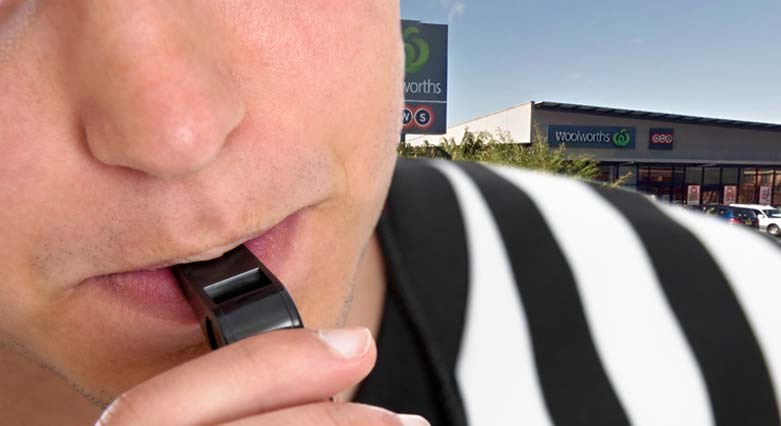 An internal investigation mandated by Woolworths senior management regarding ALH gaming practices has already prompted dismissals, and is key to ongoing investigations by regulators in three states. Earlier this year accusations emerged through the office of Tasmanian independent MP Andrew Wilkie that the 75 per cent Woolworths-owned ALH was engaging in questionable acts to try to attract and retain gaming patrons, particularly high-rollers. The accusations centred around claims staff were keeping a database of information on key patrons to aid each other in bonding with them, encouraging them to spend more time and money in the gaming rooms. Significantly, a memo reportedly supplied by one whistle-blower seemed to show strong encouragement of this behaviour by management, with discussion of reaching ambitious targets for turnover. This and other information supplied discussed free and discounted drinks (sometimes non-alcoholic) provided to patrons to make them stay, or presumably dull their reasoning. An anonymous former staffer described the Group’s approach to gaming revenue as “toxic”, claiming food and beverage service are aimed to break even, simply a lure to get patrons in and gambling. Parent company, the ASX-listed Woolworths (WOW), announced an internal review, and has now confirmed that staff in 22 of its pubs, across three States, were involved with collecting and sharing personal patron information and providing free drinks. “I am determined as the chairman of Woolworths, as is the board, that we will get to the bottom of this,” stated WOW chief executive Gordon Cairns. Fairfax reports Bruce Mathieson disclosing that staff have been sacked as a result of the investigation, but it has not been specified whether these are frontline gaming room staff or management issuing policy to regions of the Group’s 330 pubs around the country. A statement from ALH details plans to introduce a policy across all of its pubs banning free drinks for gamblers, promoting voluntary pre-commitment, and improving staff training. The ALH pubs known to be involved are spread across Queensland, NSW and Victoria. The NSW office of Liquor & Gaming confirmed to PubTIC it is aware of ALH’s internal review, and acknowledges the positive steps the Group has taken in assisting the regulator. “The NSW Government is strongly committed to preventing and reducing gambling harm. All staff involved in overseeing gaming machines in NSW venues are required to undertake Responsible Conduct of Gambling training and certification, and it is unlawful for venues to induce gambling on gaming machines through free or discounted alcohol,” stated a spokesperson. Queensland’s OLGR is similarly in the process of determining what action may be taken. L&G confirms it is in communication with OLGR and the Victorian Commission for Gambling and Liquor Regulation (VCGLR) regarding their investigations, but the VCGLR was unable to provide further details prior to publication. Both L&G and OLGR noted it was not appropriate to comment further on the ongoing enquiries.